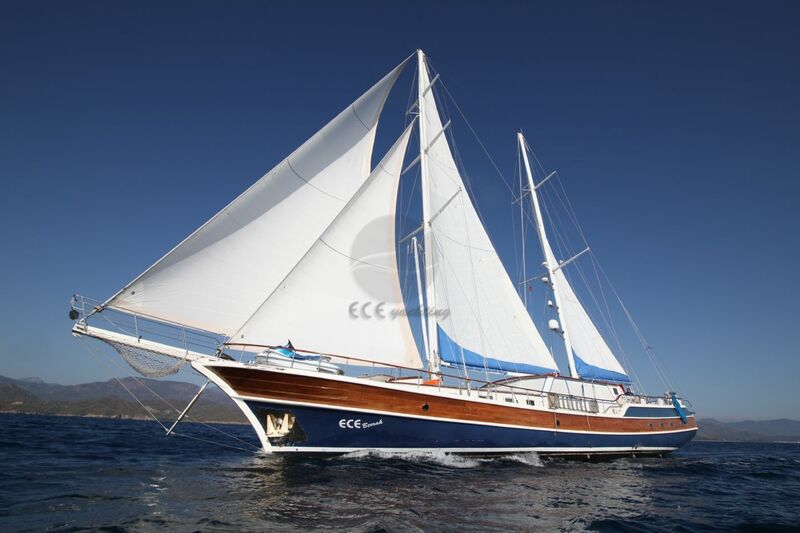 Ece Berrak, was built for private use in 2008, but it was purchased by our company in 2016. 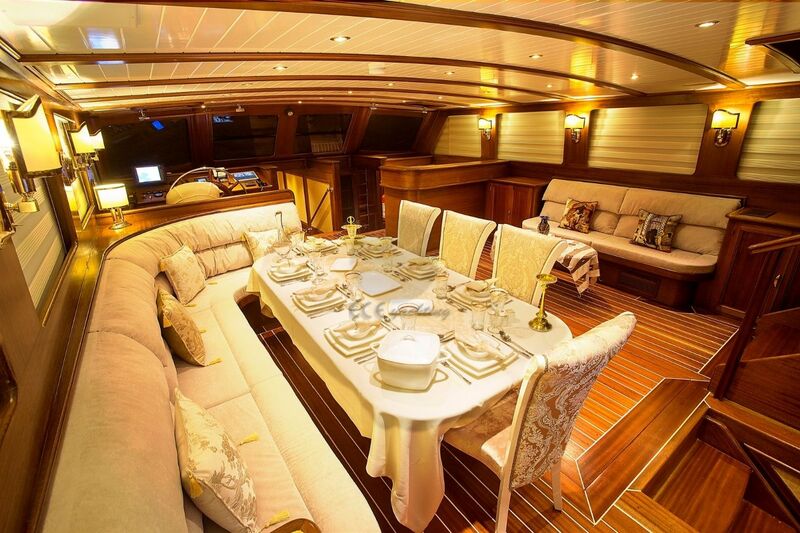 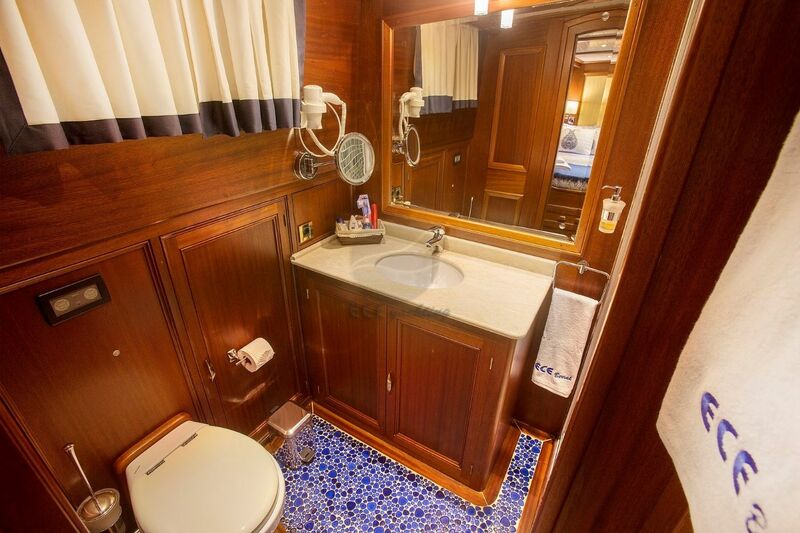 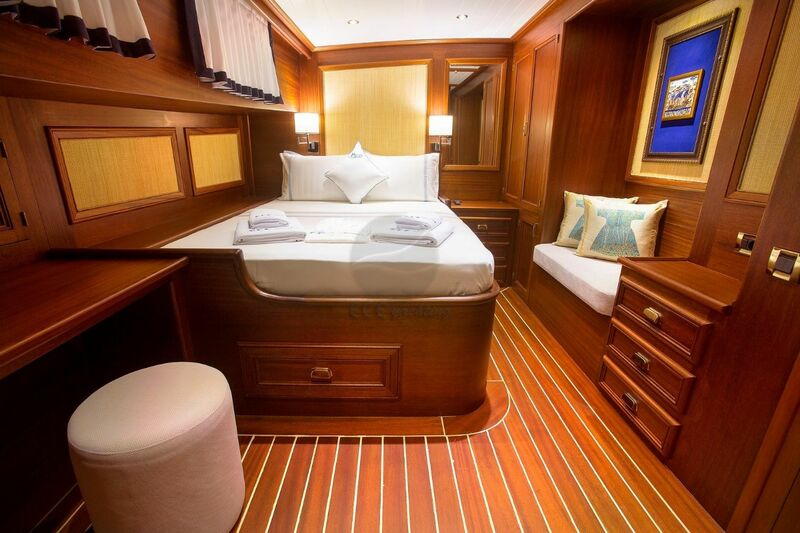 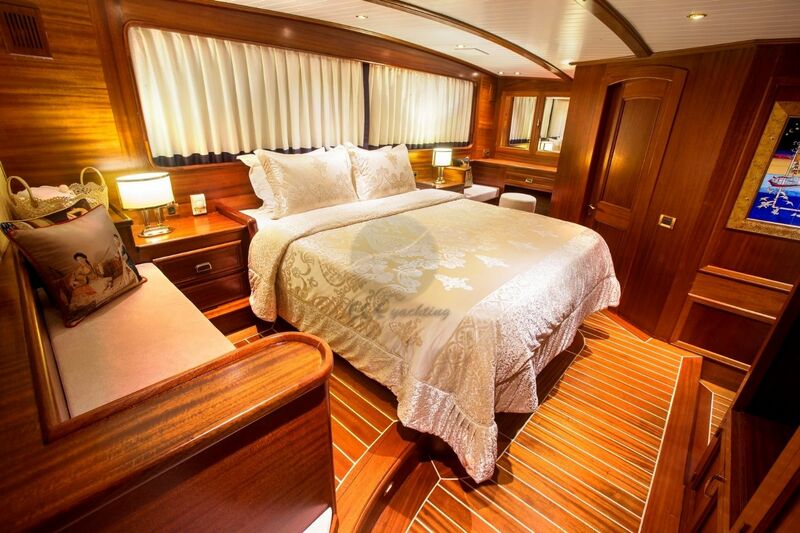 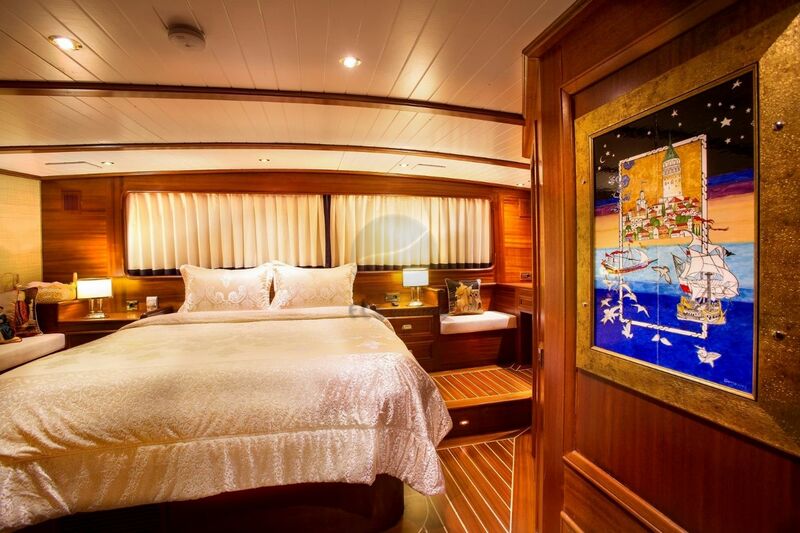 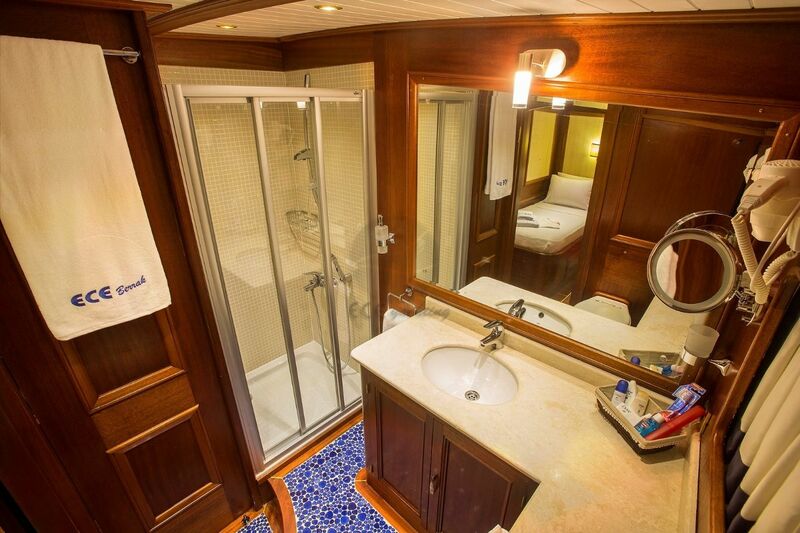 We have provided hardware for luxurious service in our yacht, which entered complex renovations. 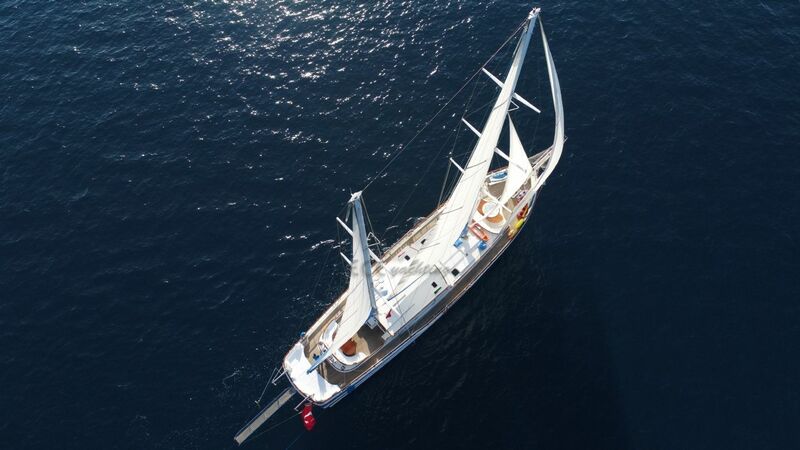 There is a crew of 5 people, including 1 captain, 1 cook, 1 seamen, 1 hostess and 1 housekeeper, aiming to provide perfect service on our 10 passenger capacity on Ece Berrak. 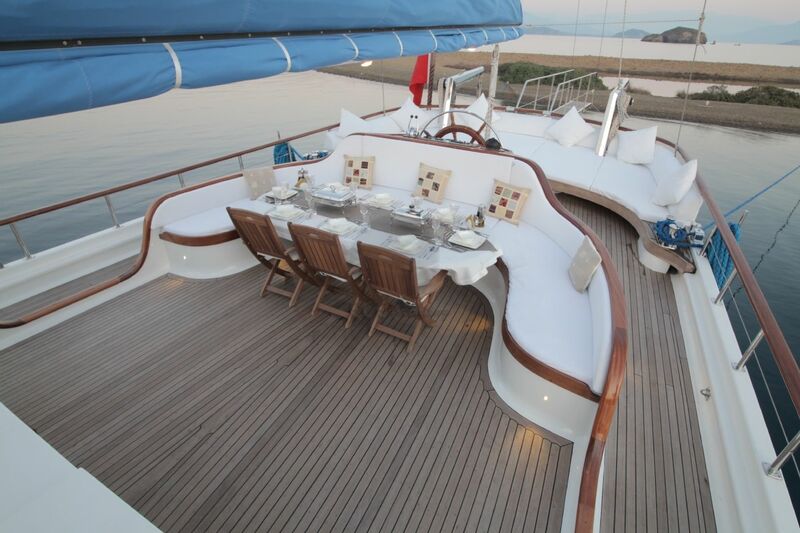 On the deck with a very large seating area, there is also a separate table at the rear rest area. 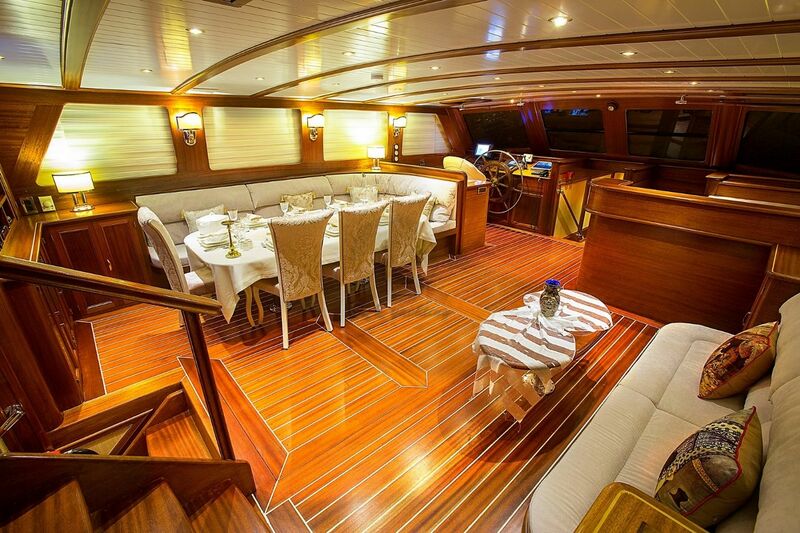 On the front deck there will be 10 cushions for sunbathing comfortably and a front sitting area where you can have a pleasant time. 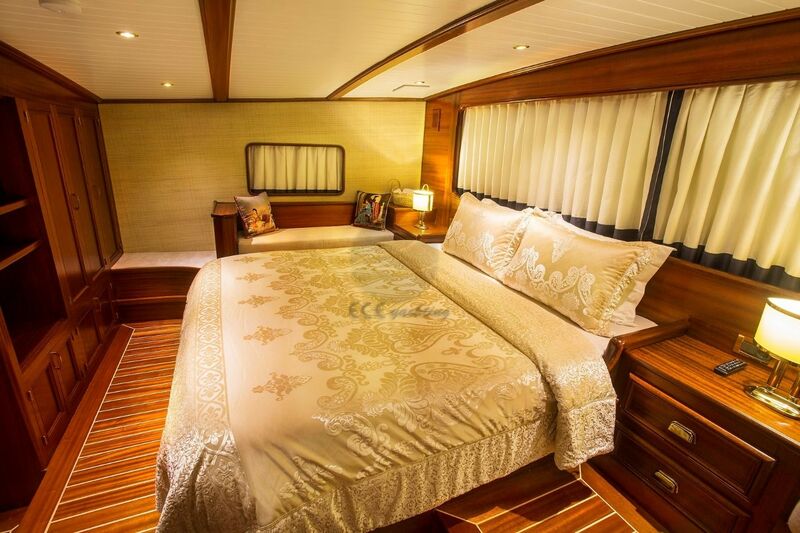 A great plus for this beautiful yacht, a Jacuzzi at the front on the yacht. 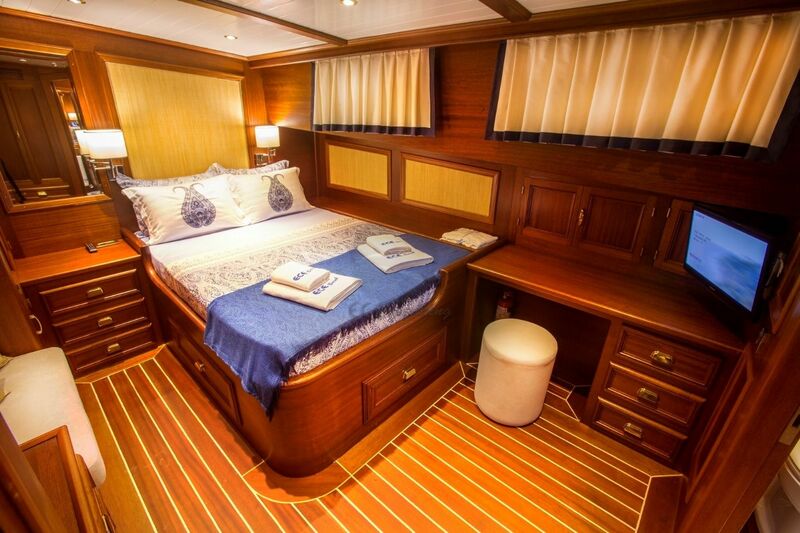 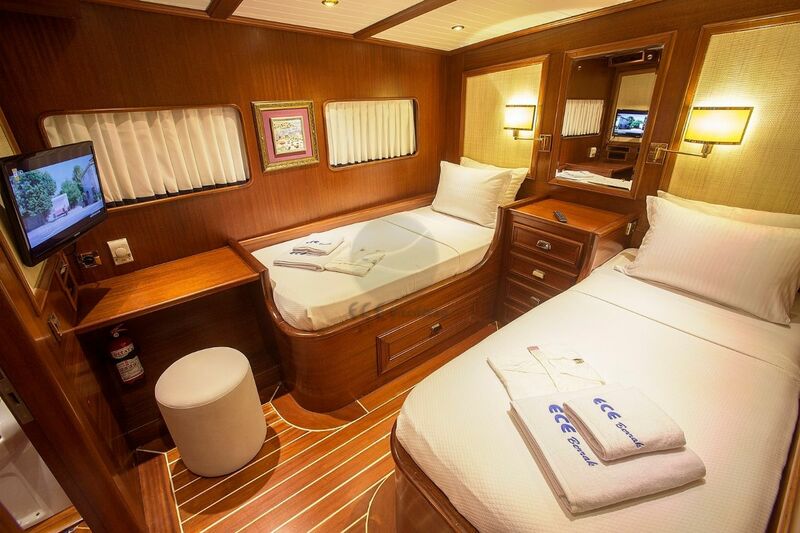 In the internal living area, there is a spacious dining table and seating areas, plus 5 cabins, including 1 master, 2 double, 2 twin. 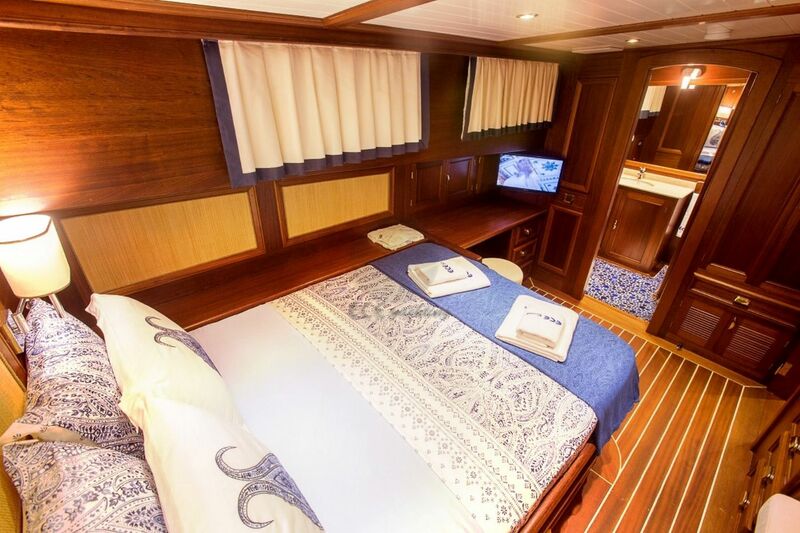 All the equipment that a professional chef needs will be available in the boat kitchen and ready to offer a variety of tastes from Turkish and world cuisine. 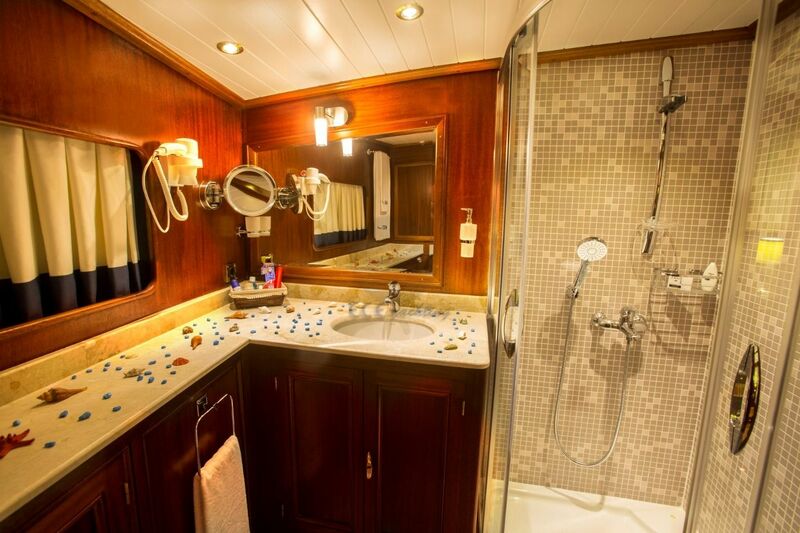 Our machine room is built according to world standards and all safety equipment's are made of 1st class materials. 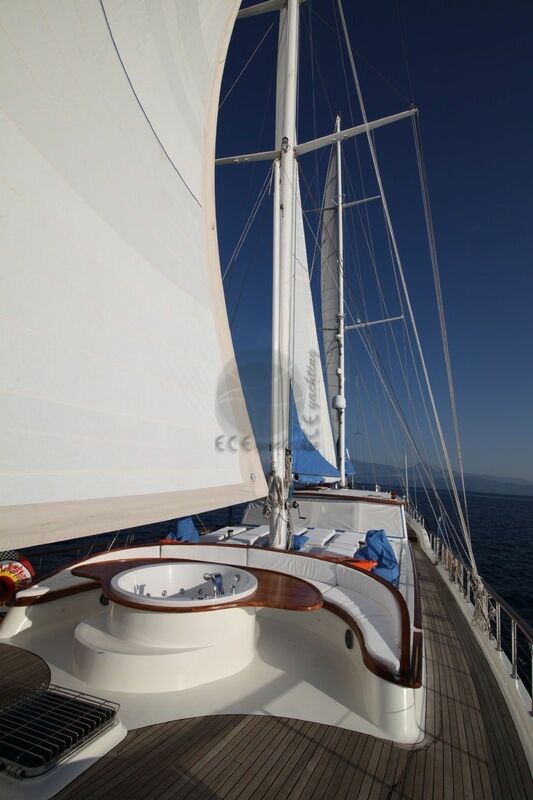 We have cranes and sail equipment belonging to the leading brand in our sector. 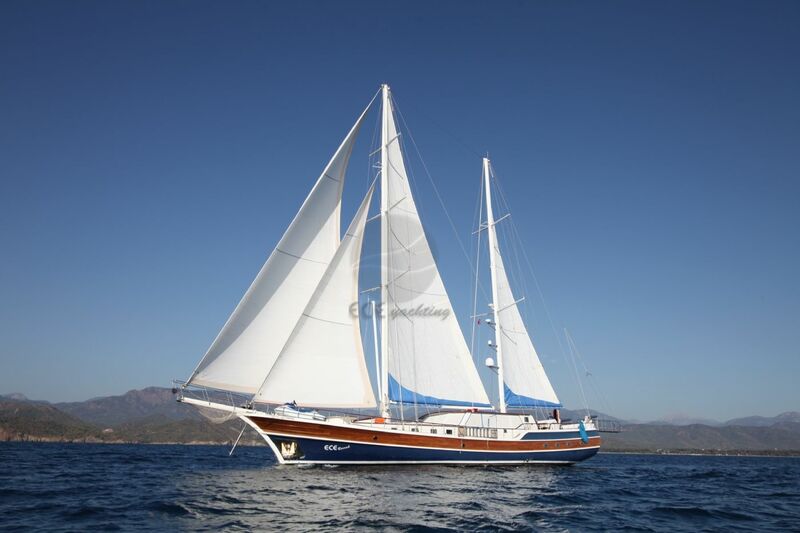 Depending on the weather and the sea conditions, you can enjoy the pleasures that you will have sailing through the waters with the sail equipment having an area of ​​approximately 450 square meters. 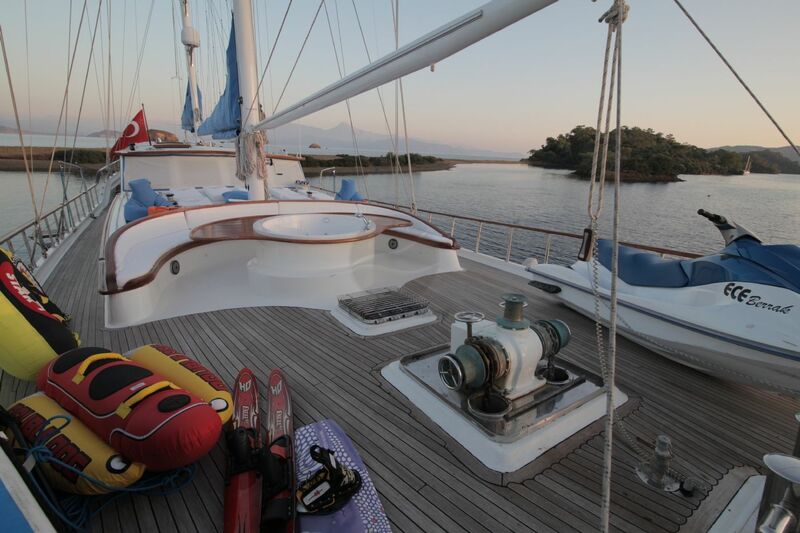 There are many water sport equipment's available on our boat, internet access in Turkish waters, ( weekly 8 GB ) games console and saloon games. 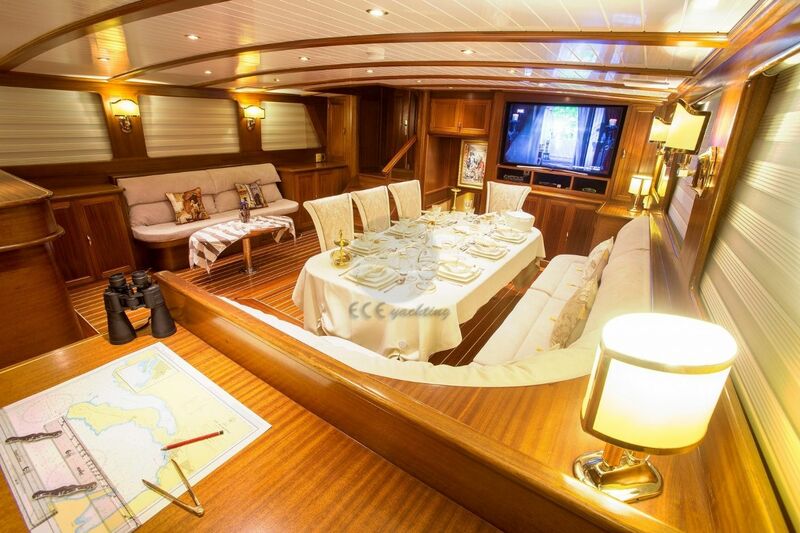 Big flat screen TV in the lounge area, and small ones in cabins. 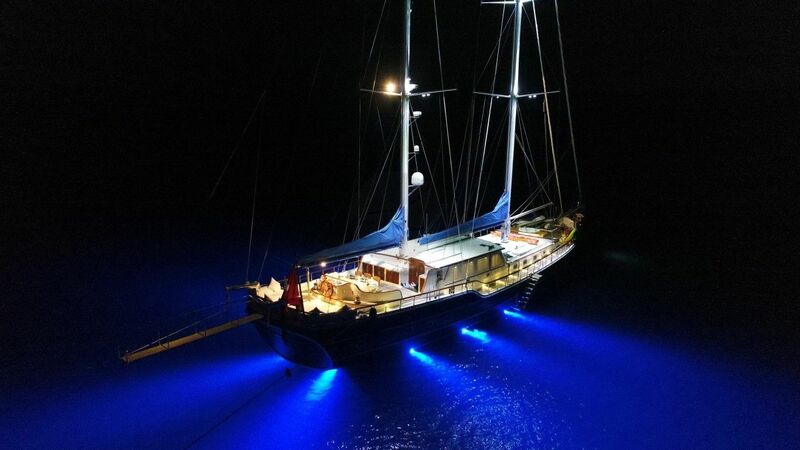 Ece Berrak Yacht. 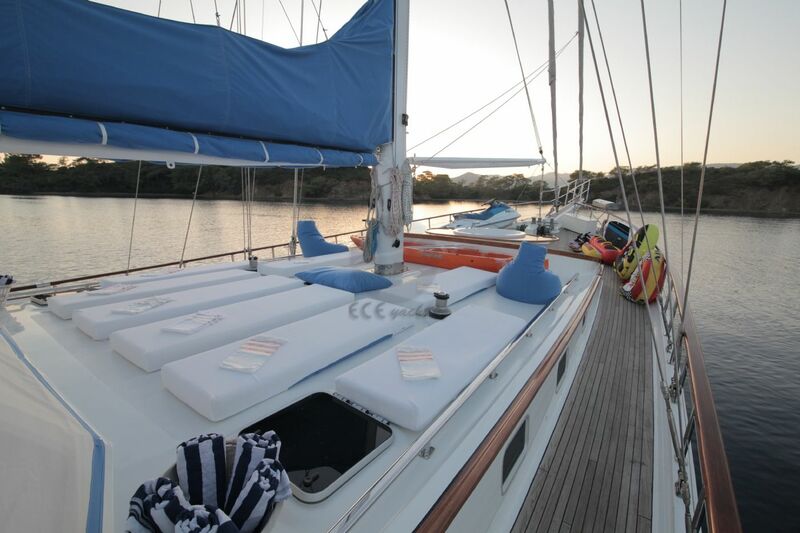 Staff Crew tip is also not included in price. 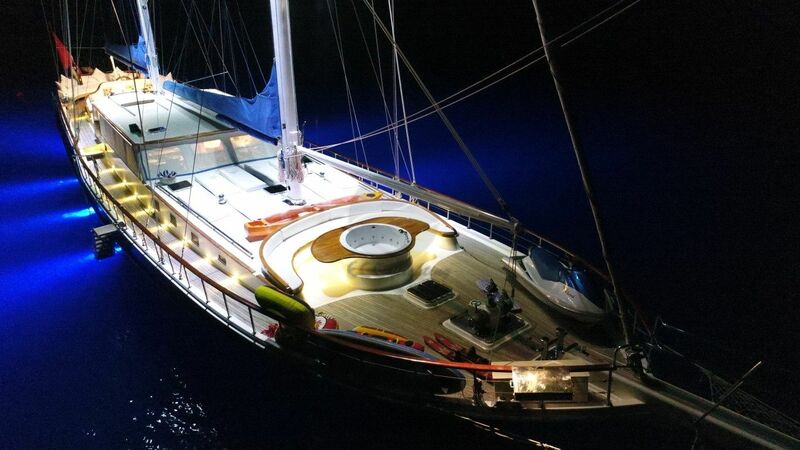 Can you give detailed information for ECE BERRAK Yacht.